Jaguar's first crossover, the F-Pace, will attract new customers to the brand. 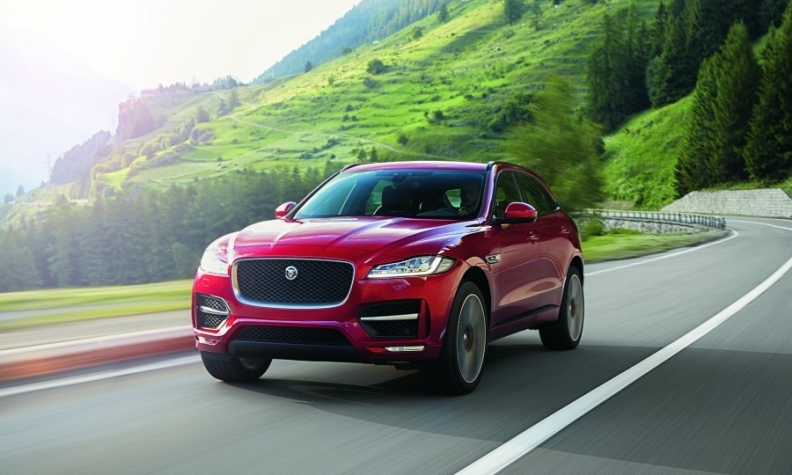 Jaguar Land Rover sold a record 521,571 vehicles in its fiscal year that ended March 31, with Jaguar accounting for 94,449 sales, a rise of 23 percent on the year before. Jaguar is poised to do even better this year because of the recent arrival of its first crossover, the F-Pace, which the automaker believes will become its best-seller of all time. JLR sales boss Andy Goss explained why while also revealing the changes JLR made to get its China business back on track. 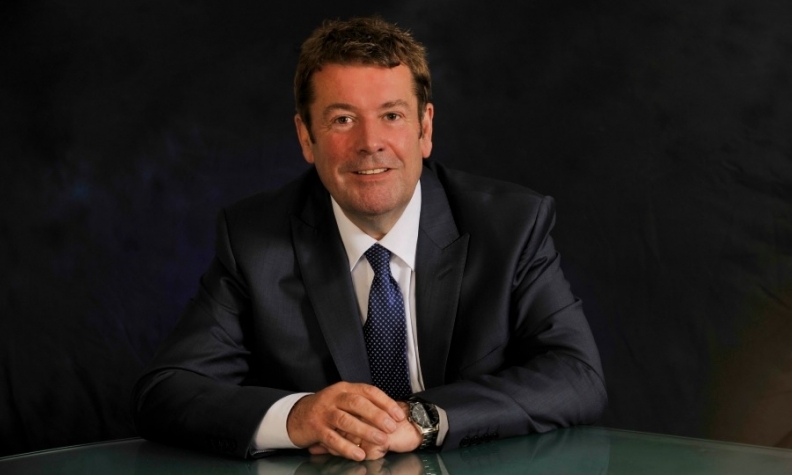 Goss spoke with Automotive News Europe Correspondent Nick Gibbs. JLR boosted global sales 13 percent to a new record in its 2015-16 fiscal year. Do you foresee setting another record in the current financial year because of the recent arrival of the Jaguar F-Pace? I am not going to predict, but we could do well. The F-Pace will be a huge element of the increase. More than 90 percent [of the crossover's sales] should be conquest. It is a true global car. Commercially, it's probably the most important Jaguar since the E-Type. We've got huge expectations. Will China be its biggest market? China, the UK, the U.S. – they are all going to be very close. We've got quite an even footprint. China will have a big increase and will take a lot of product for sure. But the U.S. is still the largest SUV market in the world, and the car is very well positioned there. Overall sales in China have picked up again, but JLR slumped there last year. What happened? BMW created turbulence [from a retail perspective] when they wrote a check for 800 million euros to its franchise network [to compensate overstocked dealers] and effectively supported their network's profitability. That led other networks to ask for the same thing. But Land Rover has been phenomenally profitable for our retailers so by sitting down with them and talking through the future and the products we settled everybody down. Also, the economy had become a bit weaker and there was a bit of a credit squeeze. How have you turned around things? We localized Range Rover Evoque [production], appealed to a new set of customers, and learned many lessons. We also launched the locally built Land Rover Discovery Sport in November and that has been hugely successful. Now we're on a strong growth path again. MAIN CHALLENGES: Translate the promise of new Jaguar models into global sales and close the gap with Land Rover. Goss believes Jaguar is on a strong growth path again in China. What happens when you localize? Do the cars become less expensive? Prices go down and the retailers start seeing a different type of customer. For a long time, the cars sold themselves, but you have got this expanding middle class that is extremely savvy in terms of expectations. You need to start selling the product benefits, the features and the financial benefits. There was big learning curve for us in 2015 and we are still going through that at the moment. I've been out there 12 times in 12 months now. How is car retailing changing in China? There's consolidation going on in the retail network. People who are car retailers at heart are really expanding and wanting to create some critical mass. We've gone past the stage of people investing for a short period of time. There are huge developments in used vehicle sales, in financial services and we spent a lot of time on tech capability. On that front, JLR is at the forefront of any market globally. There is a big move toward digitalization and fragmentation of the media, more so than anywhere in the world. Customers are extremely savvy in that regard and we have to make sure we’re engaging with those people who are looking at two phones all the time and absorbing messages in a very different way. You've spoken about the need to bring the Jaguar and Land Rover brands under one roof at your dealers. How many of your 2,000 retail locations have done this? By March next year we will have 700 dealerships with the corporate identity we call Arch. The dealer network has been investing hundreds of millions of pounds, which is a huge compliment. By 2018 the whole network will be finished. Are there any scenarios where Jaguar and Land Rover will be separate? There will be stand-alone Land Rover dealerships in some markets, but the simple rule is that we will bring Jaguar and Land Rover together every opportunity we have got. Then you have customers walking into a showroom and seeing our full array of crossovers, SUVs, sedans and sports cars. Before, we were at a competitive disadvantage because you could do that with Mercedes, Audi and BMW but not with JLR. There would be two separate locations, often with two owners. Now it's one owner, one location. That gives us an enormous opportunity. When Jaguar Land Rover adds an electric vehicle, is it going to be a halo car or a mainstream car? For everyone electric vehicles are going to be mainstream but also halo. It's not niche. It is way beyond niche. This is the next major frontier. If you look over the next 10 years, I think things will be significantly different in terms of the percentage of products that are electric cars. Not just because of regulation but because they're going to appeal to customers. What will customers like about them? Total cost of ownership a big one, also the huge amount of space in the car. All manufacturers have got to get the range right, the charging right and the price right. Those things will dissipate as the technology become more normalized over time.